For example, nearly all the meters so far installed are ones that lose their smart functions if you switch providers. 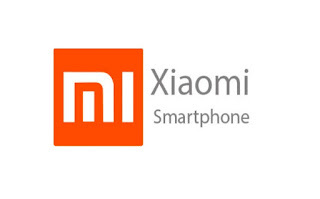 Understandably, many readers want to wait until the devices are capable of working with any supplier before they make the swap. Others have privacy concerns about how energy suppliers plan to use their data — especially after the Facebook scandal — while some are worried about the safety of an electronic device being linked to their gas supply. The Government has stated nobody is under any obligation to have a smart meter fitted. Yet our postbag is bulging with evidence that firms routinely lead homeowners to believe they have no choice in the matter, and that they must 'upgrade' immediately. Bribing customers with £50 Amazon vouchers. Today, we reveal the reasons firms are using these dirty tricks — and lay out our key demands, which should put an end to them once and for all. 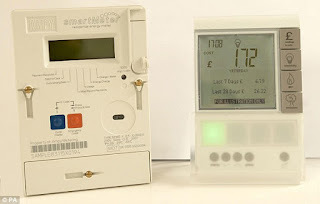 Crucially, all the major energy suppliers — British Gas, E.ON, SSE, ScottishPower, npower and EDF Energy — are under enormous pressure to install 50 million smart meters in UK homes and businesses by the end of 2020. But with two-and-a-half years to go, they can so far tick off only 11 million. That means firms must fit 24 smart meters every minute between now and the deadline. If they fail to meet the target, power firms face swingeing fines equal to 10 per cent of their worldwide sales. In the worst cases, the penalties could exceed £7 billion. Suppliers have been ordered by the Government to take 'all reasonable steps' to ensure every home has a smart meter fitted by the end of 2020. But firms say they have been issued no guidance on what 'all reasonable steps' means in practice. As a result, the Big Six privately admit they push the boundaries as far as they can. Money Mail's Stop The Smart Meter Bullying campaign calls on the Government to relax its targets for the roll-out. Ministers could either push back the 2020 deadline or reduce the number of homes in which they need to fit meters. For example, they could say suppliers must install them in only 80 per cent of homes and businesses by this time. Privately, energy firms say this would reduce the need for bullying tactics as they could more carefully target the customers who they think would be interested. Money Mail revealed in February that suppliers estimated the cost of fitting the meters across the country had ballooned from £11 billion to more than £20 billion. This cost goes on customers' bills so could wipe out the benefits from the energy savings they were promised they would make from seeing up-to-date usage figures and receiving accurate monthly charges. Money Mail understands some firms are concerned that if they are forced to install smart meters too quickly, the fitters they employ could start to cut corners. If the technology is installed poorly, it could put families at risk of fires or an explosion. The second part of Money Mail's campaign calls on the energy regulator to set out clear rules on what is and what is not an acceptable way to advertise the devices to customers. Companies should have to state clearly — in large print on letters, emails, texts and during phone calls — that installing a smart meter is optional and that customers have the right to say no. Ofgem must also prevent companies setting up installation appointments for customers who have not requested them. The watchdog should ban firms from reserving their best energy prices for customers who have smart meters and should crack down on the use of incentives to persuade people to sign up. 'Smart meters help customers save money,' says Energy Minister Claire Perry. 'That is why we are we committed to ensuring that all consumers are offered the chance to upgrade by the end of 2020.